Residents whose homes border the Ohio State University campus worry they are in danger of encroachment by the largest undergraduate university in the nation. As a result, residents of three neighborhoods bordering campus have come together to seek historic protections, potentially making it the first new historic district in Columbus in more than 25 years. 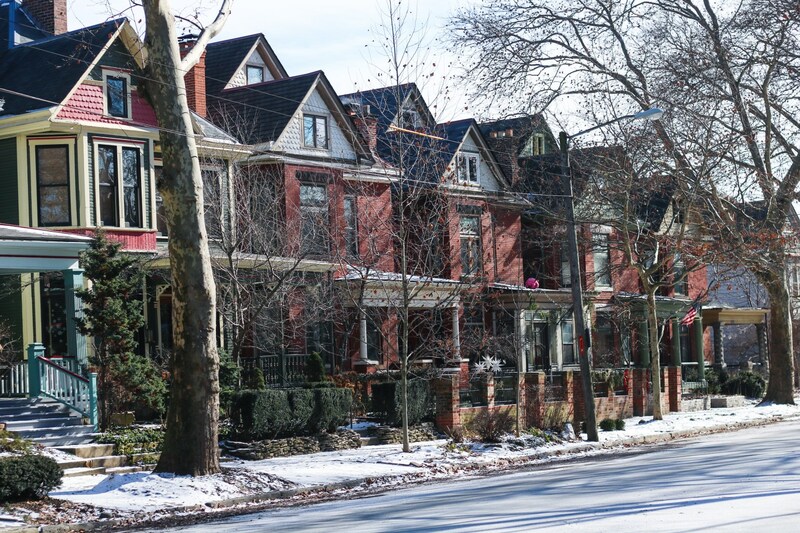 Columbus is currently home to 18 historic districts, and some of the biggest historic districts are also among the most desired areas in Columbus, including German Village, Italian Village and Victorian Village. With increasing development happening throughout the city, some view historic districts as an added layer of oversight and resident input. But on top of slowing development, those protections can increase home values and make them unaffordable for some. Either way, Columbus’ historic structures and areas play a crucial role in development, so here’s the nitty-gritty of historic preservation. WHAT’S THE POINT OF GETTING HISTORIC PROTECTIONS? Residents in three conjoined Columbus neighborhoods — Dennison Place, The Circles, and NECKO — have proposed the Elizabeth McMillen Historic District (EMH) as Columbus’ first historic district since 1993. Susan Keeny, an architect and member of the EMH District, said development pressure in the University District and other surrounding areas motivated residents to seek historic status. A recent example of this pressure came in the form of a $10 million student townhouse development, which has been cited as one of the many catalysts for neighborhoods like these to seek historic protection. EMH residents have made it clear that their intended goal is not only to establish standards against irresponsible design modifications and demolitions, but also to deter similar multi-unit student housing projects that they said they feel threaten the community’s character. And it can work. In Victorian Village, residents came to the historic commission meetings to oppose a new development that they claimed did not fit with the character of the neighborhood and would significantly increase traffic, among other concerns. The commission was in the middle of a back-and-forth between residents and developers for years, until it ended in a stalemate when Kaufman Development finally decided to sell the property in question. It’s still up for sale. Local historic preservation generally refers to the protection of historic neighborhoods or properties by establishing a specific set of design and zoning rules and regulations. Its purpose varies across the country, but overall the goal is to maintain the aesthetic and architectural value of an area or protect and preserve historical or cultural heritage. That’s the case for Columbus too, but with a few other additions. On top of protecting the aesthetic, history or culture of an area, the commission is also intended to stabilize and improve neighborhoods, foster civic pride, create new jobs to strengthen the city’s economy and reinvest in older buildings to increase the city’s tax base, according to Columbus city code. Local historic designations are broken into two categories: districts and stand-alone buildings. Districts are defined as structures or sites grouped together in a geographically-defined area, united by past events. Stand-alone buildings generally mean any historically, architecturally or culturally important property that is at least 40 years old. Any proposed developments, demolitions, and exterior renovations on historic properties or in historic neighborhoods are reviewed by a historic architectural review commission, and the four largest districts have neighborhood-specific commissions: the Brewery District, German Village, Italian Village and Victorian Village. Changes to the remaining 13 districts and standalone buildings are handled by the Historic Resources Commission, established in 1980. Commissioners are appointed by City Council, are often residents of the district they oversee and have backgrounds in architecture or city planning, though none of these qualities are a requirement. Commissions hold monthly meetings where members review cases and determine whether proposed changes are appropriate based on the architectural and zoning standards set in the city code. SO, WHICH NEIGHBORHOODS BECOME HISTORIC DISTRICTS? To qualify for a commission, an area must have a “high level of integrity,” as in buildings cannot be significantly altered or torn down and must have proven significance on a local, state or national level. Residents seeking historic status must petition for designation and receive majority support from property owners in the area. Residents must also provide a detailed evaluation of the area’s history and significance. Submitted documents are reviewed by the Historic Resources Commission then City Council for final approval. That’s key: the process is driven by residents and is not a guarantee. That means that just because a neighborhood might fit the requirements for historic protections does not mean they will automatically be protected. For example, historically black King-Lincoln district is one of the oldest areas in Columbus but does not have historic protections. That inequality can be seen in issues of representation in the historic preservation world. It’s estimated that only 8 percent of listings on the National Register of Historic Places represent women and racial minorities, and 93 percent of preservation group leaders are white. As a result, preservation efforts are more likely to focus on the protection of white spaces and tend to ignore the interests of other racial groups. Although historic designation might stop future development, it can also often mean that housing in those areas becomes more expensive. 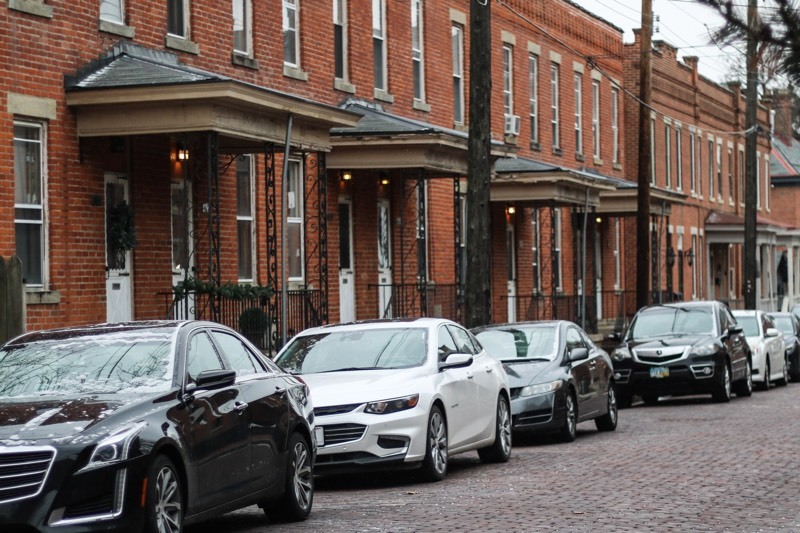 Projections based on the first half of 2018 suggest 100 percent of new apartments in Columbus’ in-demand neighborhoods are considered high-end, including properties in the city’s historic districts. At 40 West in Victorian Village — one of the few neighborhoods that is a historic district — newly developed one-bedroom and two-bedroom units range from $1,599 to $2,299 a month. And one developer with extensive reuse experience has purchased a number of historic buildings and sites in Italian Village, with plans underway for trendy one-bedroom apartments and two-bedroom units ranging in price from $1,100 to $1,800, and $2,900 to $3,000 a month, respectively. Protected districts such as Indianola Forest, Iuka Ravine, the Brewery District, Italian Village and Victorian Village represent some of the most expensive neighborhoods to rent in Columbus. 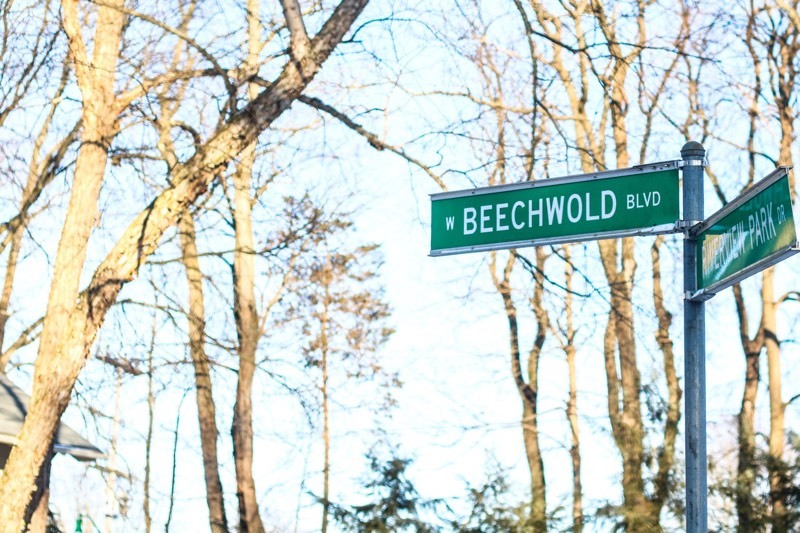 The difference in price for these neighborhoods is drastic: The Old Beechwold neighborhood, west of High Street and recognized as a historic district, is 41 percent more expensive to rent in than the Beechwold neighborhood to the east, which shares a name but lacks the same historical character and status. Briana Grosicki, Director of Research for PlaceEconomics, a firm responsible for nationally-sourced economic impact studies, said a “preservation premium” is often seen, where home values in historic districts appreciate at a greater rate and see fewer foreclosures than in other neighborhoods. Grosicki said there are several speculative reasons for this preservation premium, including the certainty and stability of home values. Although, it’s worth noting that historic designation does not fully determine property values. For example, historic German Village is one of the most expensive neighborhoods to own in, at an average sale price of $440,000 in November 2018, but Old Oaks, a historic district without a commission in southeast Columbus, has a median real estate value ranging from $108,062 to $135,252, according to real estate data site NeighborhoodScout. That holds true in other cities as well. In places like Philadelphia, infill development (i.e. development on vacant land or even vacant properties) and the renovation of old homes, as well as the city’s fast development approval process, has led to affordable housing despite steady population growth. Some writers say another factor to Philadelphia’s housing success is the residents’ lack of NIMBYism (i.e. opposition characterized by the sentiment ”Not In My Back Yard”). However, in Austin, development pressure has put preservation efforts far behind. 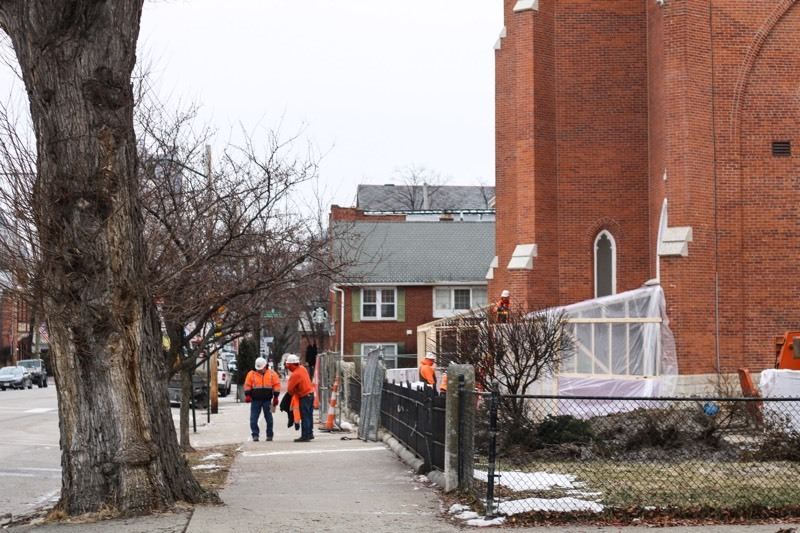 For the city’s part, it only began establishing historic districts in 2004, but increasing land demand has caused the demolition of historic homes at a staggering rate. The city is playing catch up in preservation efforts while simultaneously trying to address its recent population influx. Growing pains have led to opposition from homeowners, who claimed the city’s newest historic district had evolved too far past historic consideration, and design restrictions would only be a burden. Though far from demolishing all of its historic structures, Columbus is still only left with 18 percent of its pre-1950 homes. People like Keeny are on the side of preservation contributing to the history and prosperity of local neighborhoods. “Development is important,” she said. “It’s very important for the city, and we’re excited about it growing. Jaelynn is one of the founders of GMM and has worked in journalism for eight years, including working for Mother Jones Magazine and Honolulu Civil Beat. She has worked as a reporter, producer and editor for companies across the country and has a focus on digital, investigative reporting. Cassie is a founder of GMM and has a background in public policy. She holds two master’s degrees and has extensive experience in social work and program development at multiple levels of government. In order to maximize her impact, Cassie decided to transition into a journalism career so she could use her intimate knowledge of the inner workings of local and state government to equip the public to understand and be active participants in shaping public policy. Originally published here at Matter News. Follow them on Facebook and Instagram and encourage quality local, independent journalism.